The CCAO third level camogie All-Star awards have been announced. 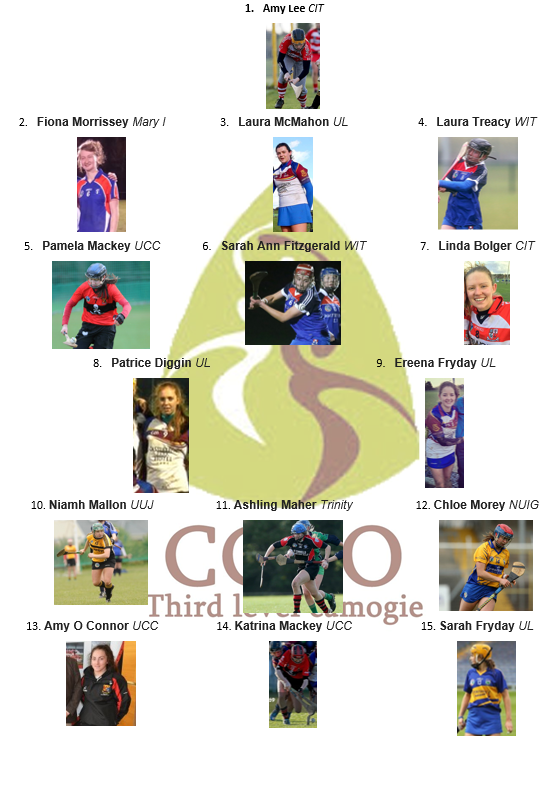 The CCAO third level camogie have announced their inaugural joint Colleges All-Star winners in conjunction with the HEC who also announced their All-Star awardees on Wednesday April 6th at 8pm. The joint Colleges All-Star Awards will be a collaboration between the higher education colleges of Ladies Football and Camogie. The award acknowledges the outstanding individual performance by a player throughout the Colleges season for their skills, commitment, attitude, teamwork and work rate. The award will be the highest college sporting accolade which will be presented at a Colleges All-Star at a special ceremony in Dublin later this year. This entry was posted in News and tagged Camogie, Camogie All-Stars, Camogie all-stars 2016 by CCAO PRO. Bookmark the permalink.